Started in 1961 with an original cost of Rs. 13.28 crores and revised estimate of Rs. 728 crores at the 1999 schedule of rates, the cost escalation reported is 5356 per cent. The ayacut targeted was 61630 hectares (net) and 92800 hectares ( gross). Though the project was targeted for completion, and priority in allocation was given during Ninth Plan, it could not be completed and commissioned fully. You can do boating in the reservoir. Tickets can be purchased at the eco-tourism centre. You will be taken to the boarding point in a battery powered van. Many people can ride together in the boat. 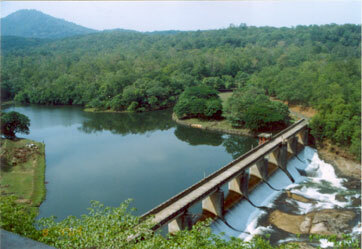 It is a pleasant experience to sail through the reservoir which is the longest in the State. The trees of Shendurney Wildlife Sanctuary line up on both sides of the reservoir.